C24 Gallery is pleased to present the works of Mike Dargas, Carole Feuerman, Nick Gentry, Katja Loher, Irfan Önürmen, Seçkin Pirim, Regina Scully and Christian Vincent at the 27th edition of Art Miami 2016. C24 Gallery is pleased to announce on view will be artists Mike Dargas, Carole Feuerman, Nick Gentry, Elana Herzog, Dil Hildebrand, Katja Loher, İrfan Önürmen, Regina Scully, Seçkin Pirim, Christian Vincent, and Tad Wiley. C24 Gallery is pleased to announce its participation in Art New York, presented by Art Miami. For the second annual installment of the international, contemporary- modern art fair, C24 Gallery will present the works of Mike Dargas, Carole Feuerman, Nick Gentry, Dil Hildebrand, Katja Loher, İrfan Önürmen, Seçkin Pirim, and Christian Vincent. Miami, FL (December 2015) | Booth C6 - C24 Gallery is pleased to present Carole Feuerman in Art Miami. The gallery will feature a solo booth of the Feuerman's work which explores the three-dimensional world of figurative sculpture. The C24 Gallery is pleased to announce that we will be showing work by the following artists: Mike Dargas, Carole Feuerman, Nick Gentry, Dil Hilderbrande, Katja Loher, Irfan Önürmen, Jeanne Silverthorne, and Domingo Zapata. New York, NY (February, 2015)— For the 2015 edition of Pulse New York, C24 Gallery is pleased to present the works of artists Nick Gentry, Katja Loher, and Robert Montgomery. Contemporary Istanbul will take place November 13-16 at Istanbul Congress Center (ICC) and Istanbul Convention and Exhibition Centre (ICEC). The leading international art fair in Turkey brings both local and international focus to the dynamic art scene in Turkey's vibrant metropolis. C24 Gallery is pleased to present works by Martin Durazo, Katja Loher, Robert Montgomery, İrfan Önürmen, and Ryan Perez at this year’s edition of PULSE NY from May 8-11, 2014.
allery is pleased to present works by gallery artist Katja Loher at VOLTA NY 2014, on view from March 6-9, 2014. Katja Loher will present a new body of work featuring her signature video sculptures incorporating performance art, dance, human activity, nature and technology through unconventional presentations. For the 2013 edition of Pulse Miami, C24 Gallery is pleased to present the works of artists Mark Dutcher, Katja Loher, Robert Montgomery and İrfan Önürmen. For the 8th edition of Contemporary Istanbul, C24 Gallery is pleased to be presenting works by gallery artists Mark Dutcher, Katja Loher, Robert Montgomery and İrfan Önürmen. C24 Gallery is pleased to present the works of six gallery artists at PULSE New York Contemporary Art Fair, on view May 9-12, 2013. 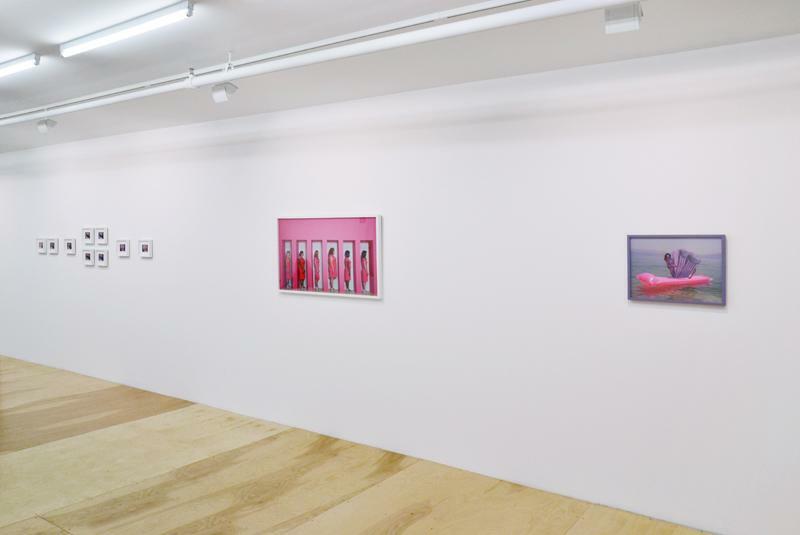 C24 Gallery is pleased to present works by gallery artist Regina Scully at VOLTA NY 2013, on view from March 7-10, 2013. Regina Scully will participate in the panel discussion On Abstraction with William Bradley, Kadar Brock and Christine Frerichs, on March 7th at 4:30pm, as part of VOLTA NY’s Talks Lounge. In the work of New York based artist Charles Lutz, he mines the imagery and data from sources diverse as mass media and advertising to ephemera from the world of contemporary art and auctions, exploring the human experience and our value structures full spectrum. C24 Gallery takes place in the 2012 Contemporary Istanbul art fair. New York, April 12, 2012—C24 Gallery is pleased to announce the first solo exhibition in North America by İrfan Önürmen. The exhibition will present a selection of works produced since 2004, comprised of collages, paintings and stacked newspaper sculptures; all addressing the impact of the media on human experience and its visual representation. In a variety of forms, Önürmen unveils the relationships and discrepancies between personal and public experience as seen through the lens of the contemporary media. With a visual language founded in broadcast and other public channels of information, the artist deconstructs the aesthetics to expose the disparity between reality and representation. In the series Crime Watching Önürmen turns to Turkish television and reveals the communicative pollution embedded within mainstream media in a group of monochromatic figurative paintings. In the Gaze Series, the artist depicts familiar looking figures whose identities are fictional inventions, inspired by characters found on the internet. Made from layers of tulle, these works form softly colored portraits that refer to the composition of pixels through the material’s texture. Önürmen’s Gaze Series combines various elements from different visual sources to create personalities that appear familiar only through their persistent presence in our collective unconscious. In his relief series titled Panic, Önürmen addresses the visual excess of contemporary culture with large stacked newspaper sculptures. Using newspaper as material and content, Önürmen carves a landscape of images and erased texts that suggest the inflection of media driven anxiety upon the public. The works in the exhibition at C24 Gallery occupy the interstitial space of the practical realm and a utopia exaggerating the readymade reality found in newspapers and other public media. Önürmen edits and embellishes these outlets through his practice to address the contradictions of contemporary social constructs. İrfan Önürmen was born in Bursa, Turkey in 1958. His work has been shown extensively throughout Turkey, and in Europe including solo exhibitions at Pi Artworks, Istanbul; The Göruntü Art Gallery, Adana; Siyaz Art Gallery, Bursa and many others. Önürmen's work has been included in numerous group exhibitions at venues such as the Museo Comunale d’Arte Contemporanea, Polignano a Mare, Italy; Istanbul Biennial, Antrepo, Turkey; Akademie Der Künste, Berlin, Germany; Kulturdezernat der Stadt Frankfurt, Germany and others. Önürmen lives and works in Istanbul, Turkey. 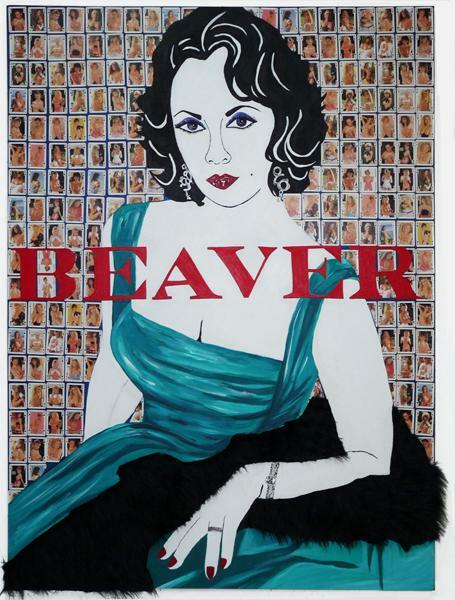 C24 Gallery is pleased to present Jewel Box Comedy, an exhibition of works by Eric Hibit. 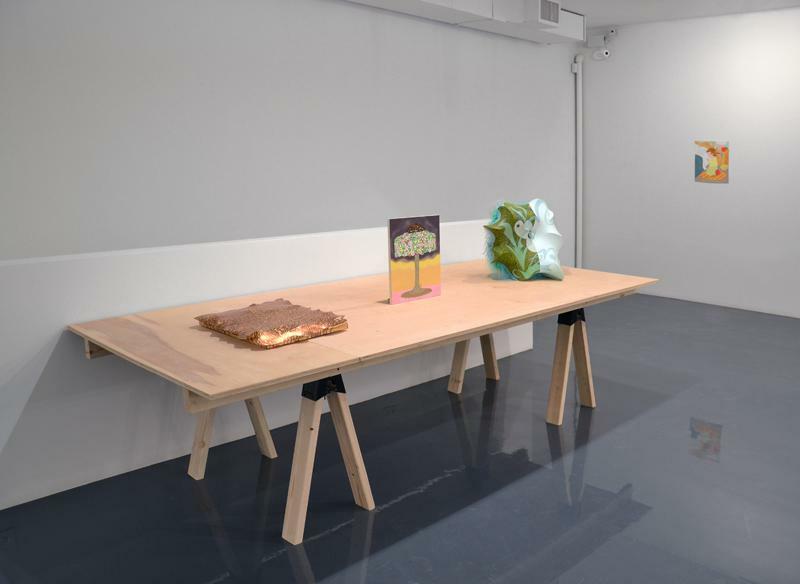 This exhibition inaugurates the upstairs gallery as a project space for emerging artists, with its own exhibition schedule within the C24 Gallery program. In his work, Eric Hibit juggles imagery and abstraction, collage and illusion, sculpture and painting, gesture and detail. The result is a cohesive diversity; a set of objects that contrast and converse within the logic of artistic sensibility. The notion of juggling certainly matches the artist’s theatrical aesthetic. Bold color contrast, metallics, patterned fabric, and embellishments such as feathers and yarn are utilized without restraint in this work. Mr. Hibit continues to draw upon his tongue-in-cheek declaration, made in a 2010 exhibition press release, that he had founded a new breed of art known as “New American Folk Baroque”. However comic, the phrase articulates the artist’s adventure: in locating the elusive territory between Baroque and the handmade. Eric Hibit holds a BFA from The Corcoran College of Art + Design in Washington, DC, and an MFA from Yale University School of Art. He has exhibited at Max Protetch Gallery, Anna Kustera Gallery, and Gallery Satori in New York. He has exhibited internationally in Giverny France. His work has been show at Geoffrey Young Gallery in Great Barrington, MA, and his last solo exhibition, entitledPicture Cohesion, was held at Curator’s Office in Washington, DC. His work was selected for the 2012 WPA/Corcoran Select Auction by Corcoran Museum curatorSarah Newman. Most recently his work was included in TOPS, a group show at Open Space in Long Island City, curated by Sun You, as part of President Clinton Projects. Mr. Hibit is adjunct faculty at New York University. He lives and works in New York. C24 Gallery is pleased to present Kaleidoscope, a group exhibition curated by C24 Gallery Executive Director, Kristen Lynn Johnston. The gallery’s fourth exhibition includes the work of four international artists: Shannon Finley (CA), Grazia Toderi (IT), Canan Tolon (TR), and Rob Voerman (NL). The exhibition will be on view through April 21, 2012. There will be an opening reception on March 10, 2012 from 6:00-8:00 pm. Kaleidoscope incorporates a range of media, from abstract paintings to large-scale installations, by artists whose work is characterized by the common thread of consistent changes in the capacities of human perception. Shannon Finley supplies the geometric tropes for Kaleidoscope as he explores light, depth, and form with maturity. His paintings are seemingly abstract, however Finley takes a referential approach to his medium. Grazia Toderi has created a new two-channel video installation and a series of drawings for Kaleidoscope. The projection is similar to a kaleidoscopic instrument—the two projections turn round in opposite directions, one on the right and one on the left, appearing similar but always different. The video draws from a collection of aerial views of different cities, inventing a new cartography at once nostalgic and alien, and presenting an impossible point of view. Canan Tolon’s work portrays architectural spaces in conflict, manipulating reality with refraction to manifest illusion. Her work reveals a vision of a problematic world often overlooked. Rob Voerman’s art depicts fictive communities that construct a simultaneous vision of utopia, destruction, and beauty. While fleeing from and reflecting on a rapidly changing society, the artist attempts to create his own world without posing any moral judgment. Voerman will produce a large site-specific work in the atrium space at C24 Gallery. In Kaleidoscope, Finley, Toderi, Tolon, and Voerman traverse the visible landscape and expand our perception. 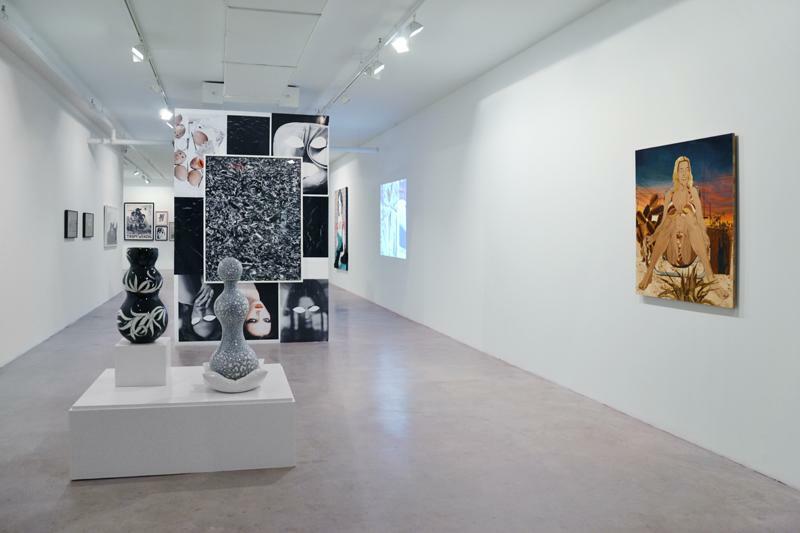 Based in New York and founded in 2010, C24 Gallery focuses on identifying and fostering some of the best new international art talent from diverse geographies such as Turkey, India, Europe, and the Americas. Incorporating an array of media, CAMPAIGN goes under the surface of digitally manipulated imagery of the homogenized female in order to understand how this has become a repository for confused and misplaced notions of status, power, dominance and beauty. By showing how women’s bodies are marketed, CAMPAIGN poses questions such as: What perpetuates this hegemonic depiction of women and how do we reveal what is really underneath the super-perfect veneer? While appropriating imagery from mainstream culture and repurposing fashionable tropes, CAMPAIGN creates alternative meanings that reveal hidden truths—exploring the stereotypes of femininity to uncover contemporary self-reflective practices. The artists show how technological advances enable the manipulation of a visual vernacular. This fuels a fixation with transformation that complicates ongoing struggles with personal identity. Amy Smith-Stewart is an independent curator based in New York. She is the founder of the nomadic gallery, Smith-Stewart. She was Curator at P.S.1 Contemporary Art Center/The Museum of Modern Art, New York from January 2002-December 2005 where she was also one of six curators of Greater New York 2005. Presently, she is on faculty at the School of Visual Arts, MFA Fine Arts Department and the Sotheby’s Institute, New York, MA Contemporary Art program. Performances by Kenya (Robinson), Hrafnhildur Arnardottir aka Shoplifter, Shana Moulton, and Katie Cercone and The Push Pops will take place during the opening reception. For more information about other performances during the exhibition, check our website for the schedule. C24 Gallery's first ever exhibition titled Double Crescent. This opening exhibition featured a large group of up and coming artsits.